Ever been on a trip & regretted forgetting something? I know I have. Here is a list of some of my favorite beauty items that help me make it more comfortably without a trip- without bringing out my entire stash. Because for some reason people think that’s illogical! This is a special list because it isn’t my basic favorites like certain palettes but usually multi-purpose beauty products I find handy on the go! Plus a look at my favorite new makeup bake from the Hold Me Company! It is pretty incredible! So the most difficult thing for me when traveling is cutting back on the ridiculous amount of makeup I think I should always travel with. 5 lipsticks? More like 15. A basic couple of eyeshadows? Nah like 3 palettes & a sprinkling of singles. I tend to overdo it to be sure. But I do have a few tricks up my sleeve- promise! Let’s look first at one of my favorite new makeup products…but a type of product I keep on standby. A lot of people dig the lip & cheek combo stains but I usually don’t. The stains tend to look clumpy on my dry skin & also isn’t a big treat for my lips. I love them here & there but not something I necessarily rely on. 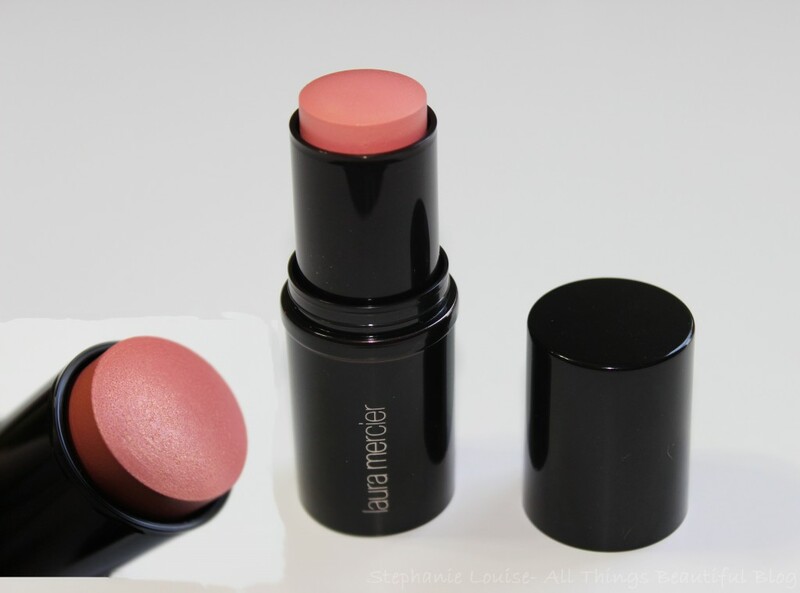 This is the Laura Mercier Bonne Mine Stick Face Color in Peach Glow– & it is stunning. I just apply this ultra-creamy shade onto my cheeks & it looks so healthy on my skin. You have to find a color you really love that goes with anything & this one happens to be mine! For my nails…well I can be a bit picky! But this trick is tried & true- bring a glitter! This happens to be OPI Nail Polish in Which is Witch? & it is one of my favorites because it has decent coverage & it is flashy. But you can pick any glitter you please! So why a glitter? Well it is my fastest & most effective way to fix a chipped nail when I’m on the go & don’t have the original shade. I can use it on all of my nails if I need to but I usually just do accent nails to match each hand. So easy & who doesn’t love a touch more glitz? I have very pale & unpigmented lips so lip liners are fun for me to play around with but this clear version is easily my favorite. 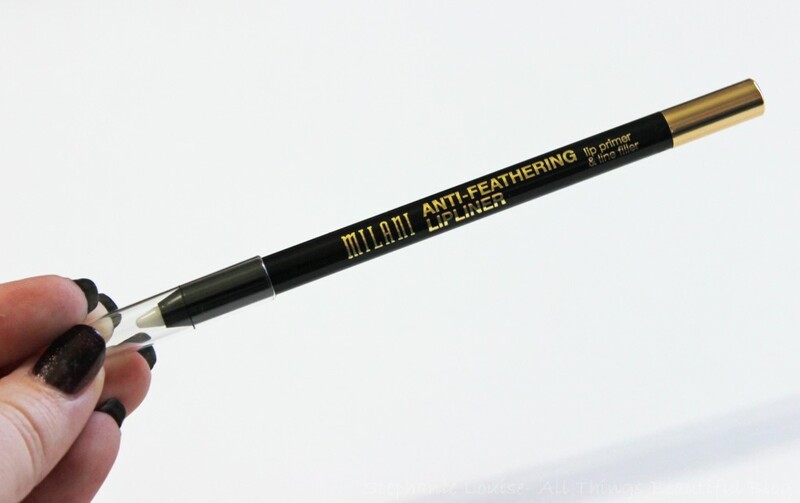 The Milani Anti-Feathering Lipliner is both a lip primer & line filler. I love having this option because a pop of color on my lips is easy to make in a hurry…but not if it ends up all over my face. 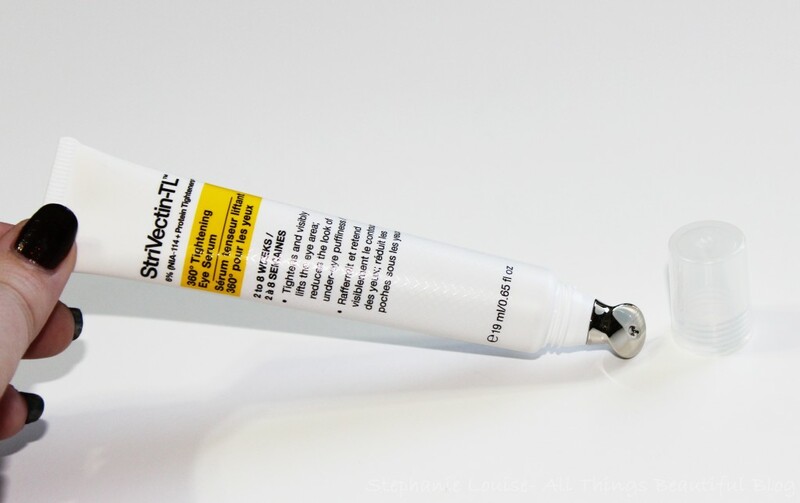 Sometimes I apply to my entire lip as a primer but for creepin colors that want to move outside my lipline I apply this just outside my natural lipline. Super versatile! This Milani Brow & Eye Highlighters in #02 is everything- for real. I didn’t know if this product was going to be a hit for me but from my full review of both duos I wrote here you can see I’m in love! This shade in particular is amazing for my skintone because the matte cream shade on one side can work for me as concealer in a pinch as well as the perfect eye base. The Luminous Lift highlighting side is also great for inner corner highlight, highlighting my cupid’s bow, & also a base. This pencil is the perfect pick-me-up to throw in my bag to touch up throughout my travels. 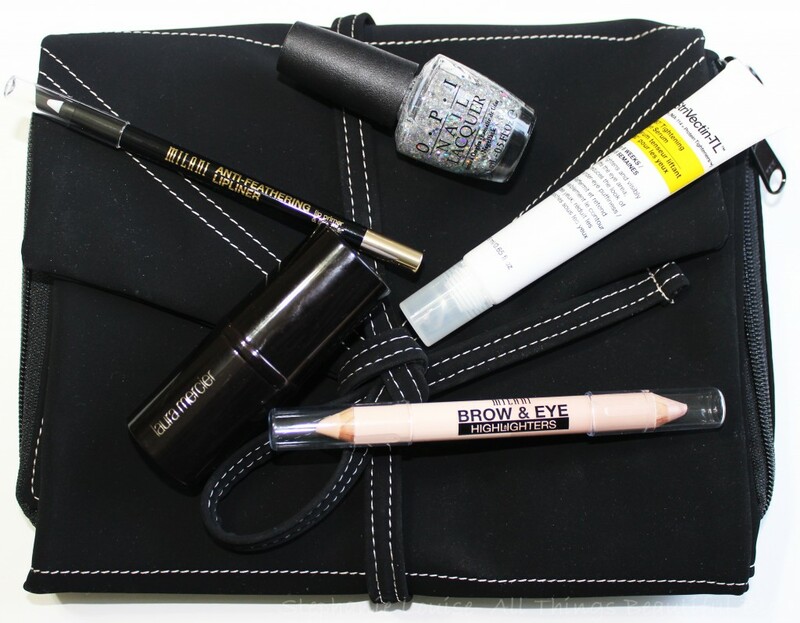 Last is something I hold tried & true from multiple brands- a double duty eye product. This StriVectin-TL 360 Tightening Eye Serum is a great eye serum that feels lightweight, easily to apply packaging, & a depuffer all in one! A lot of people like the rollerball type under eye products but I find this one works great. The metal tip gives a cooling feeling as you apply the serum. I find I have better control with this tube & no leaking…which has happened with rollerballs in the past! Now onto this amazing new travel bag! 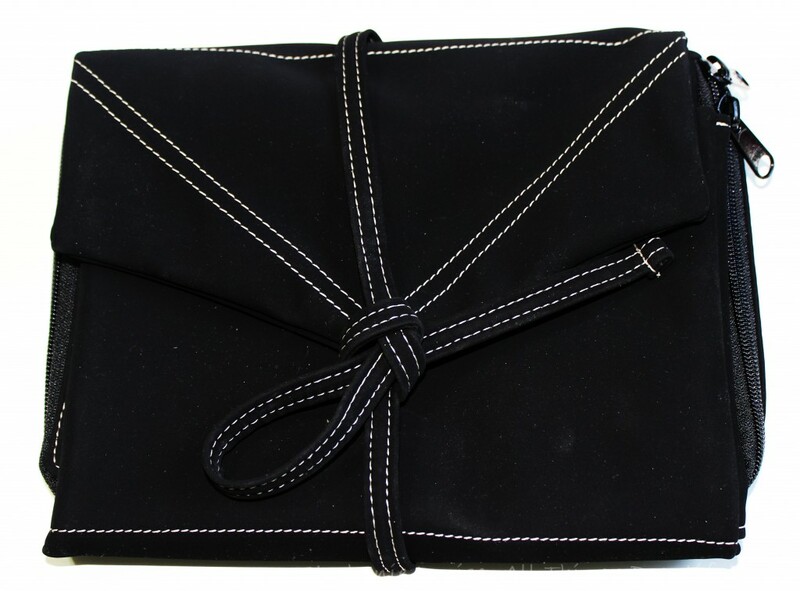 This has an incredibly sleek design with a wrap-a-round self-tie patterned after vintage schoolgirl’s book bags. Smart & efficient. They wanted an easy closure that didn’t use velcro, metal or magnets that would accommodate all the items inside & I think this was a smart way to do it. The black fabric is referred to as Knew-Suede (VEGAN!) & is really easy to care for. You just use mild soap & water then wipe it down & air dry. I’ve cleaned it twice so far & I think it still looks nice in the photos! This happens to be the Hold Me Middle Sister Bag so there is one larger & one smaller as well size-wise. My pattern is “Little Zebra” but they have lots of options on the site & also on Amazon as well. Inside you have 8 spaces on the right great for brushes & liners. That top flap folds over to keep them both safe & from dirtying up everything else. On the left is the “heart” of the bag which holds the largest & heaviest items. There is also the liner (shown kind of in the middle) with one Knew-Suede side & the other is wipe-able & patterned. This liner can be used to layer & separate items or as a surface to place items on. I find it handy to divide glass foundations or more delicate palettes. There is also a lid pocket which is the perfect size for many palettes. This bag is definitely an investment but I definitely wish I had one back when I was involved in school activities traveling all the time. This would have been an excellent gift & I love it for myself now! I don’t see any signs of wear or tear & it is definitely convenient! What are some of your travel must-haves that not everyone else knows about? What is something you never forget? I’m always looking to add to my holy grail list! Travel: Where To Get Travel Sized Items Travel: My Pacifica Items Including Solid Fragrances! 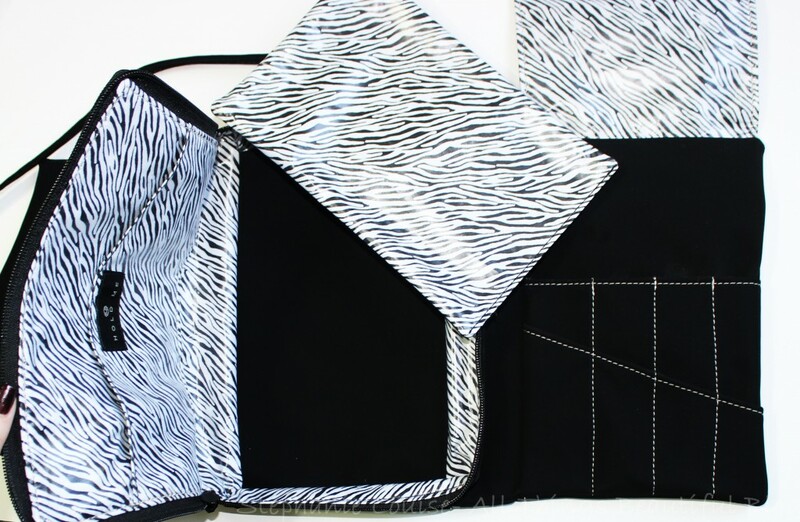 Travel: Showoffs Travel Bags (similar to Tili bags!) 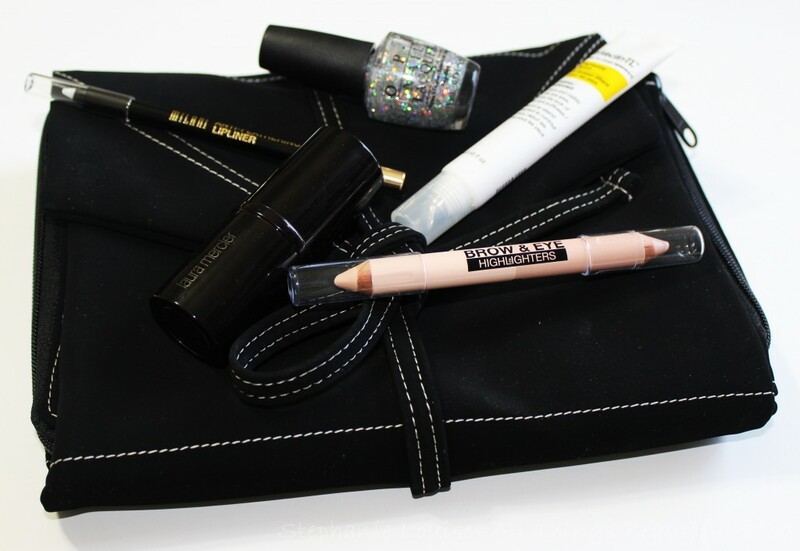 Swarovski Beauty Items from Mont-Bleu Review- Nail Files, Mirrors, + More!